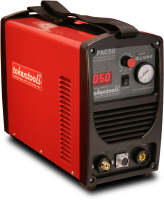 Getting New Plasma Cutters for sale in Sydney Melbourne Brisbane and doing so at very affordable prices is now a simple process thanks to the great minds at Tokentools Welding Equipment Supplies. Our range of new plasma cutters for sale have the best warranty covering parts and labour for a full five years and a 30 day money back guarantee. What types of Plasma Cutters For Sale do we have?